It Started with Snow Cones. Blake Pyron has never been limited. Not by his community, not by his parents, and certainly not by his Down Syndrome. That’s why he rolled up his sleeves, stocked up on syrup and opened Blake’s Snow Shack for business in 2015. 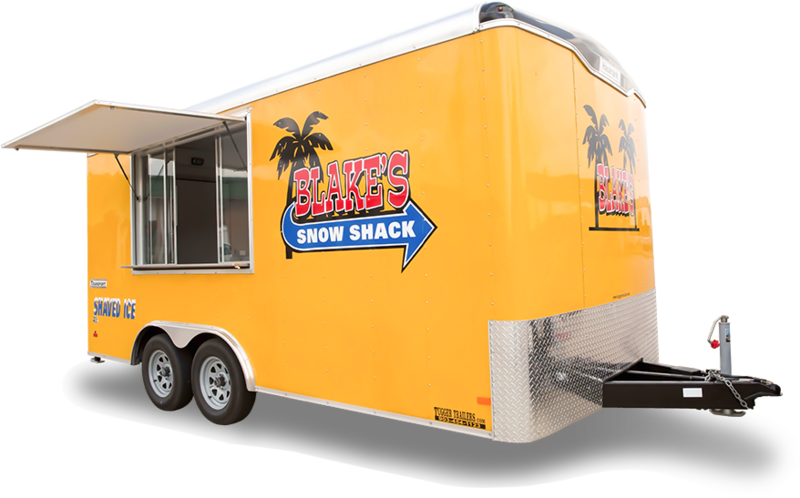 A life-long Sanger resident and bona-fide local celebrity, Blake’s inspirational story has gone worldwide, with national and international press establishing the Snow Shack as a can’t-miss stop on any Texas tour. After all, it serves up two amazing things: crazy delicious snow cones and Blake’s million-dollar smile. But don’t let the smile fool you. It’s a tough job being a National Down Syndrome Ambassador, world-famous snow cone slinger, Boss Man business owner, and the toast of the town. But Blake’s hard work is proof that the approximately 6,000 babies born with Down Syndrome each year represent 6,000 future entrepreneurs, community leaders, and valuable members of society. He’s proud that his namesake Snow Shack is a pretty sweet example of how successful people with Down Syndrome can be. And he can’t wait to serve you a snow cone and a smile.